The Old Peanut Factory is a great reminder of the Victorian industrial heritage of the area. In this part we can see the typical situation of how new businesses can thrive in old buildings. This 19th century brick building houses a contemporary creative agency’s office with a local café situated in the building below. 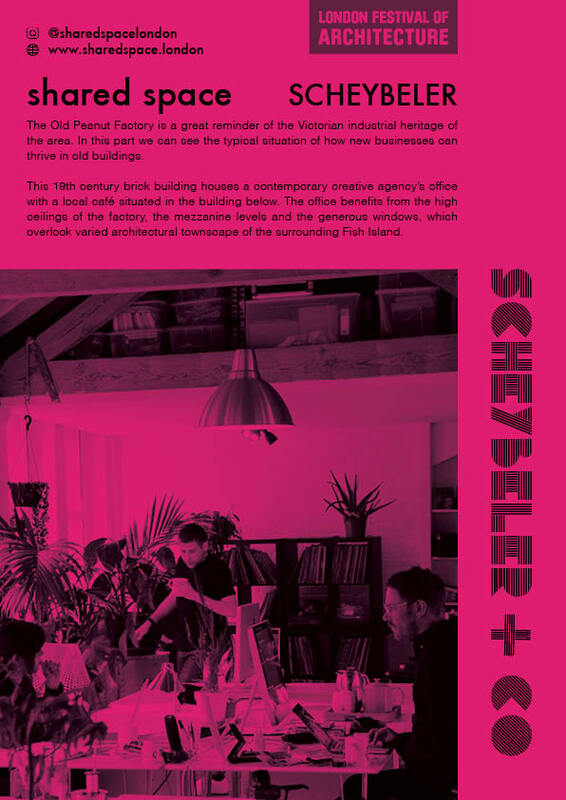 The office benefits from the high ceilings of the factory, the mezzanine levels and the generous windows, which overlook varied architectural townscape of the surrounding Fish Island.